Hametzarim is like Mitzrayim (Egypt), a tight, narrow place of pressing. Think of being constricted or pressed. Bein Hametzarim is a traditional time period on the Jewish calendar that marks additional restrictions as a way to mourn over the destruction of the Holy Temple. Remembering the loss of the Temple is a difficult concept for most Believers to grasp. Since we know Yeshua, a type of Living Temple, and read Paul (who described our physical bodies as a type of Temple of the Holy Spirit), there is a tendency to view the physical Temple as an unnecessary or invalid prescription for approaching YHWH (God). We must be careful of supersessionism and all its facets. I hope you took the time to read the article I reblogged by Sue at The Lamb’s Servant. While her focus was on the kedushah (holiness) of the Temple, she also brought out some other provocative ideas that she gleaned from Joe Good’s Temple study course (of which, I also highly recommend). If we really understood the majesty and holiness that existed during the times when the Temple stood, we too, would deeply mourn its loss. The Temple was central to Biblical worship. How one approached the Holy One of Israel was tangible and certain. A worshipper knew where to go and what was required of him. He knew where the presence of the Holy One resided, who his mediator was, and understood the various levels of kedushah (holiness). In other words, the manifestations of godliness were obvious to all who approached, regardless of one’s status or intellect. This heavenly pattern has not changed. If we fail to learn the blueprint for YHWH’s House, we are missing the heart of worship. The Jewish people have preserved the work and worship at the Temple in the daily prayer services. Three (or four) times a day, a prayer request for the restoration of the Temple and its services is made. This does not include the many times it’s repeated in the Birkat Hamazon (Grace After Meals). Can you imagine making this petition multiple times daily to the Holy One? The earthly should reflect the heavenly. Once we “see” the heavenly pattern, we should as both Joe Good of HaTikvah Ministries and Sue at The Lamb’s Servant point out, be ashamed and REPENT! Join with me this year in mourning for the House of YHWH. The Three Weeks begin on the 17th of Tammuz with a fast day from dawn until nightfall; this commemorates the first breach of the walls of Jerusalem before the 1st Temple was destroyed. 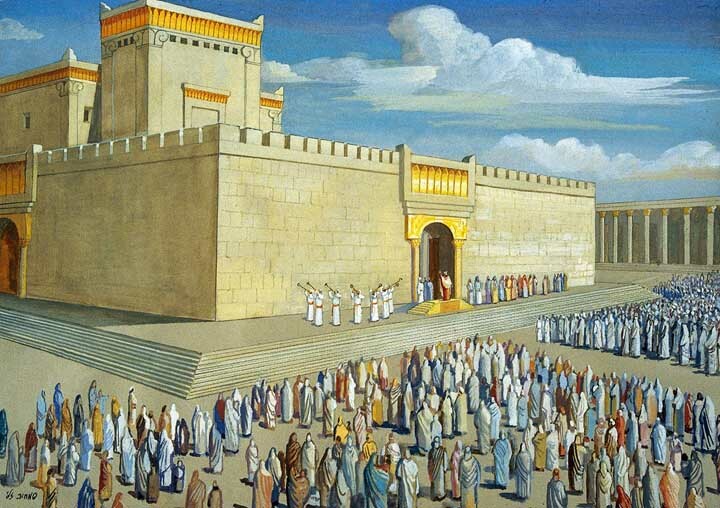 Mourning continues and escalates up to the 9th of Av, when another fast from sundown to sundown commemorates the actual destruction of the 1st and 2nd Temples. After the Three Weeks, a shift from mourning to rejoicing occurs. Consider reciting the Birkat HaMazon at least once a day after meals when not fasting if it’s not your practice to do so. Thanksgiving for Return from Captivity. There is a lesser known midnight prayer service called Tikkun Chatzot in honor of the matriarchs, Rachel and Leah. The three daily services are attributed to the patriarchs, Abraham, Isaac, and Jacob. The Tikkun Chatzot focuses on yearning for God (Leah) and the destruction of the Temple (Rachel). If one incorporates these midnight prayers, then mourning and requesting the restoration of Temple totals four times in prayer services. Be pleased, O Lord our God, with your people Israel and with their prayers. and receive in love and with favor both the fire-offerings of Israel and their prayers. May the worship of your people Israel always be acceptable to you. And let our eyes behold your return in mercy to Zion. Blessed are you, O Lord, who restores his divine presence to Zion. For the text of the Birkat HaMazon (Grace After Meals), click here. I was up last night studying the Temple and the pattern and trying to learn more about this. I appreciate all the links here and other blogs you’ve shared. If it would have been longer, I’m not sure I would have had time to get through the other prayers, blogs, and information, so it was a perfect size blog for me. Thanks so much for the information and encouragement about bein hametzarim – we will be observing this with you! Thanks for your interesting & informative post, Kisha. 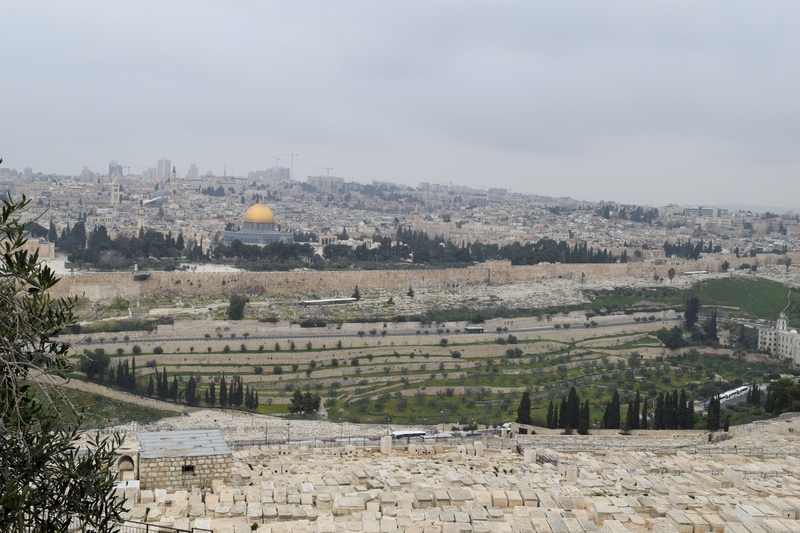 Wherever I am in the world, praying toward the Land, the city Jerusalem, and the Temple (even though it doesn’t exist at the moment) is on my heart. Solomon’s prayer of dedication of the Temple in 2 Chronicles 6:14-42 underscores the practice which I hope modern day believers begin to embrace wholeheartedly in the near future! Additionally, Daniel also fasted, praying 3x a day toward Jerusalem, longing for the restoration of the Temple which was “desolate” in his time–just as it is desolate in ours. (Daniel 9:3-19) ‘Kinda makes the phrase “Dare to be a Daniel” take on a new meaning, doesn’t it?! :). ‘Looking forward to seeing you at Revive soon. Thanks, Audrey. My plane just landed in Dallas, so I can’t give a thorough response, but yes, Yes, YES! 😊 Wonderful connections!